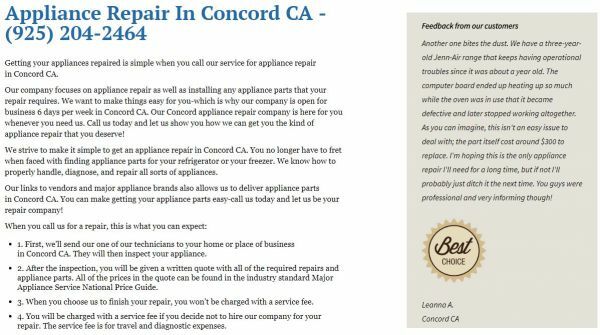 Reserve one of our Concord, CA appliance repair professionals for when you need the help. Found us online? Book now: (925) 204-2464 Utilize our $20 e-promo too!